Cape Town - Was the former actress a victim of another fashion faux pas or making a statement in her dare-to-bare attire? 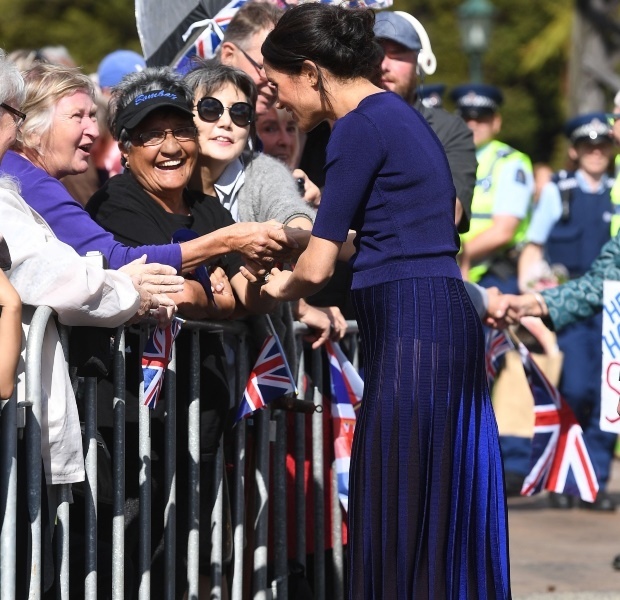 Harry and Meghan, the Duke and Duchess of Sussex, ended off their Commonwealth tour on Wednesday in Rotorua, New Zealand, with Meghan rocking a stylish Givenchy outfit – that included a blue sweater and what appears to be a see-through pleated skirt that showed off her undergarments and legs, the Mirror reports. 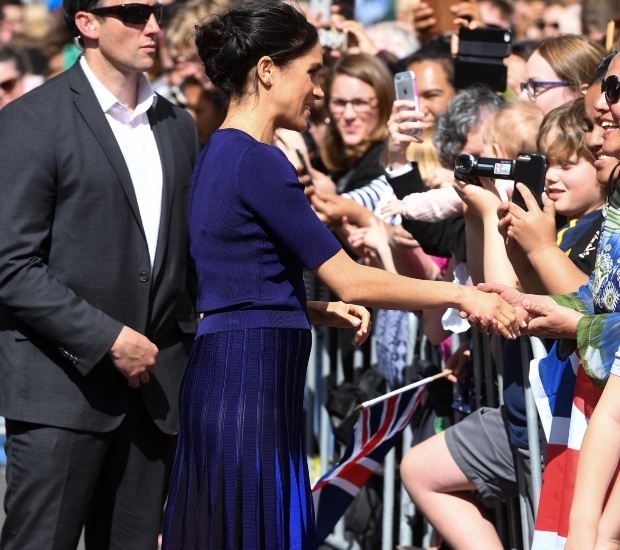 Although it’s unclear whether the wardrobe moment was intentional or not, in the pictures it appears that the former Suits actresses’ pleated skirt is transparent in the sunlight. The couple started the day off at the Rainbow Springs Nature Park where they learnt about the kiwi breeding programme, and then went on a walkabout where they met members of the public, Elle reports. The prince (34) seemed out of sorts at the reserve, keeping his hands in his pockets as he and Meghan learned about the tiny birds. American body language expert, Blanca Cobb, said his behaviour seemed unusual, Cosmopolitan writes. “Normally, people don’t keep their hands in their pockets for extended periods of time unless they’re outside without gloves,” Cobb said. “You hold yourself back from things you don’t like or are unsure of,” she added. 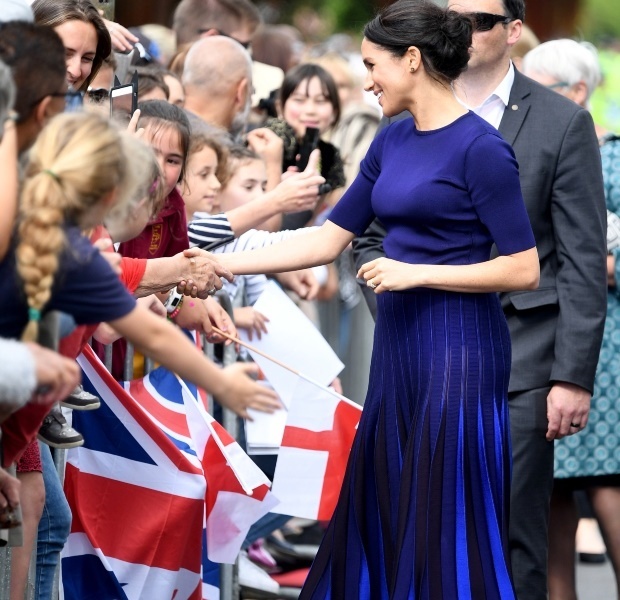 The couple had 76 engagements on their 16-day tour – which proved to be exhausting for Meghan, who is in her second trimester of pregnancy. Harry apparently urged her to take it easy and attended some of the engagements on his own, Express reports.